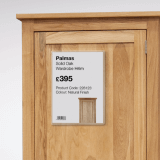 Create a double sided counter standing unit with our Acrylic Poster Holder. Designed for displaying landscape graphics, this unit is perfect for a variety of businesses from retailers, hotels, banks, spas or leisure centres. What is the Poster Holder manufactured from? 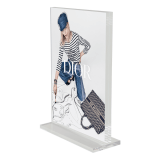 This unit has been manufactured in clear diamond polished 2mm Supervue acrylic, providing a robust, rigid and long lasting crystal clear display. How do I update my display? 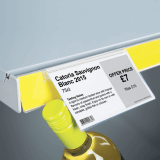 This Poster Holder has been designed for regular, quick and simple graphic changes. The base and sides are open to slide your graphics in and out. Great for display purposes and can be used to display on both sides. Lovely clear acrylic. Good service and well packaged products, will use the company again.